Raise your hands if you are tired of doing 100 crunches, 100 push ups and never-ending burpees. We have all been at that stage where we workout tirelessly to get a flat stomach and six-pack abs but fail miserably. We are in a constant battle with our stomach – we all want a flat belly but cannot resist the mouth-watering pizza, fries, cake, ice cream and I can keep on going. In a perfect world, our stomach would be flat regardless of what we ate but unfortunately, we are not in dreamland. We have, however, found some easy way to put a stop to our continuous struggle and finally, start achieving our goals i.e. a flat stomach. This does not mean you should spend every spare hour of your day in your garden (gardening and getting some sunshine is definitely beneficial) in fact, this green is pretty simple. Gulp down green tea as much as you can. According to research, green tea has a certain antioxidant called EGCG which focuses on boosting metabolism and targets specifically the abdominal area. Green tea extracts are known to burn fat to 17% and increases calorie expenditure by 4%. Green tea is also known to reduce the risk of accumulating belly fat. It also helps in dealing with a bloated stomach, aiding in digestion. It is recommendable to drink at least six glasses of green tea every day, and preferably after one hour of every meal. If you are not a big fan of green tea’s taste, then you can add lemon or honey, or both for a better taste. This includes all sodas, any juice which has non-natural sugar, hot chocolates, coffee with sugar and basically, everything that has sugar in it. You are probably going to the third point because, let’s be serious, who gives up on coke? But, if you are still reading this, then let me enlighten you with the way how liquid sugars impact our bodies. Drinks that have insane amount of sugar in it will shoot up your blood sugar level and will later make you feel more fatigued and hungry. You will literally want to munch food ravenously. Moreover, drinking excess liquid sugars also results in bloating. There are multiple alternatives to these sodas – you can always enjoy a glass of sugar-free lemonade, sparkling water or just water. 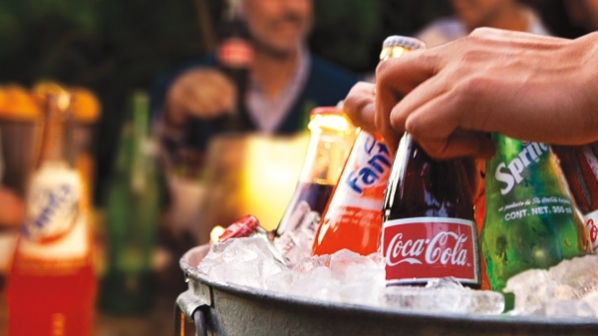 Try avoiding sodas everywhere. It is recommendable to not make every night out a cheat day. Try this for a month and you will start noticing a flat stomach immediately. While you bid farewell to all the sugary drinks, welcome water with open arms in your life. Most of the time, we forget to drink water because we are just so busy and water is our least favourite thirst-quenching drink. But, the benefits of water that we were taught in the fifth grade science class still hold true. Water, not only, keeps us hydrated and gives us a refreshing glow, it is a go-to drink for detoxification that also supports weight loss, relives tension and tiredness, prevents headaches and cramps, along with keeping your skin fresh and many other numerous benefits. This H2O is nature’s gift for us and drinking one glass of it before a meal will help in reducing your meal consumption as it makes you feel full already. 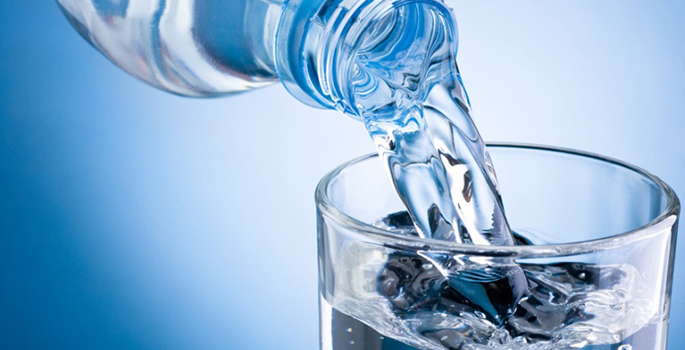 Moreover, water can put a stop to your late night hunger pangs. If you drink water every time you feel your stomach growling in the middle of the night, it will not only satisfy your growling stomach but will also stop you from having late night snacks which are, by the way, one of the root cause of your not-so-flat belly. There are times when we are ravenously hungry and do not pay attention to the amount of serving we take or how fast we are passing food down our esophagus. Those are the times when we are giving our stomach a boost to start looking bumpy. The solution to this issue, you may ask is pretty simple: Eat slowly. Chew every item on your plate properly, focusing on the chewing process rather than just gulping down everything. Chew till you don’t feel any solid particle in your mouth. Taking your time while eating avoids bloating as when you eat really fast, air can get trapped into your system which results in bloating. Eating slowly lets you enjoy every bite to the fullest and prevents you from overeating as well. 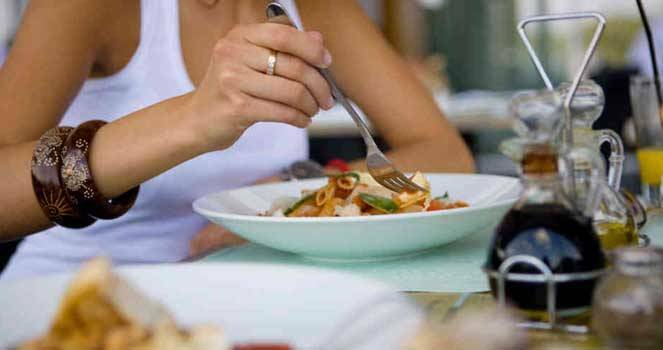 This way, you won’t have to turn to crash diets as you are already reducing your meal consumption and portion size by eating slowly. Put crunches at the end of your work-out routine. 5 minutes of ab exercises should be enough. 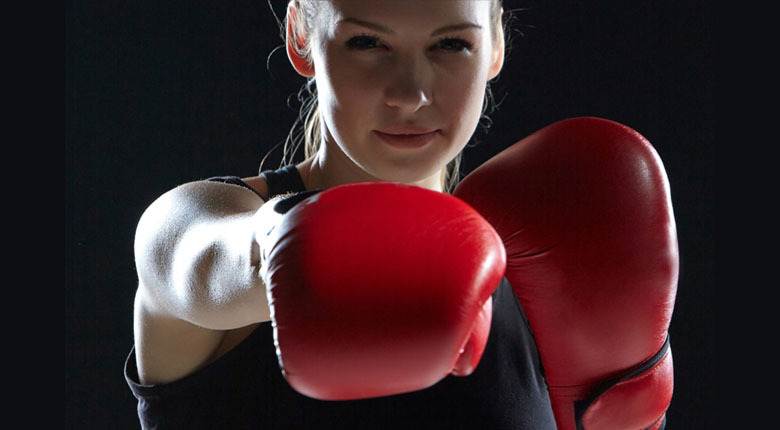 But focus more on introducing boxing in our cardio every-day routine. In boxing, you engage your whole body which aids in flattening your belly. Through punches, you push yourself hard and twist your torso which is great work for the ab muscles. Punches also increases your focus and helps you de-stress. A bad day at work? Just not feeling good? Start throwing punches. Imagine someone you are not a fan of in front of you and give your everything to punch them. By adding only 16 minutes of boxing three times a week in your cardio routine, you can lose up-to 2 inches from your waist in a matter of 4 weeks. Have you been in a situation where you laugh so hard that your stomach hurts? That’s not your stomach hurting, those are your abs screaming after a good five minute laughing workout. Laughing is the easiest and the best thing for your abs. It tones your abs by expanding and contracting the muscles (just the way you do in any other abs’ exercise) which eventually brings out the flatness in your belly. 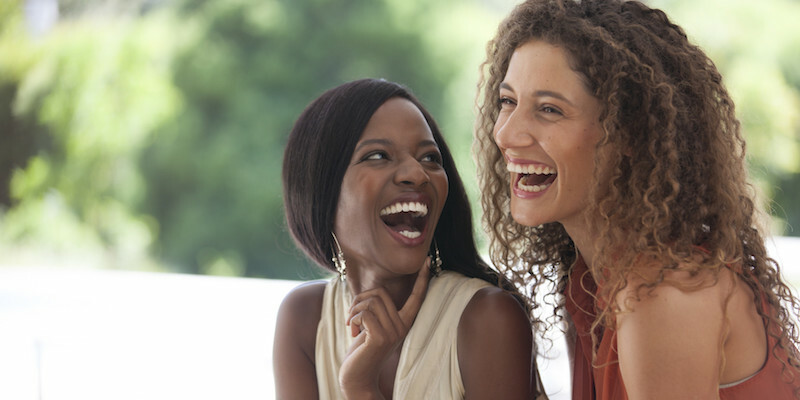 During your laughter sessions, you give the opportunity to other muscles that are not involved in your laughing spree a chance to relax rather than engaging the entire core in any abs workout. This is a good way of allowing your body to enjoy the laughter while the abs are at work.